When is Bright Week 2019? Bright Week (also called Pascha Week and Renewal Week) is a term used in the liturgy of Eastern Christianity to refer to what in Western Christianity is called Easter Week, the period of seven days from Easter Sunday through to the following Saturday (Easter Saturday or Bright Saturday). 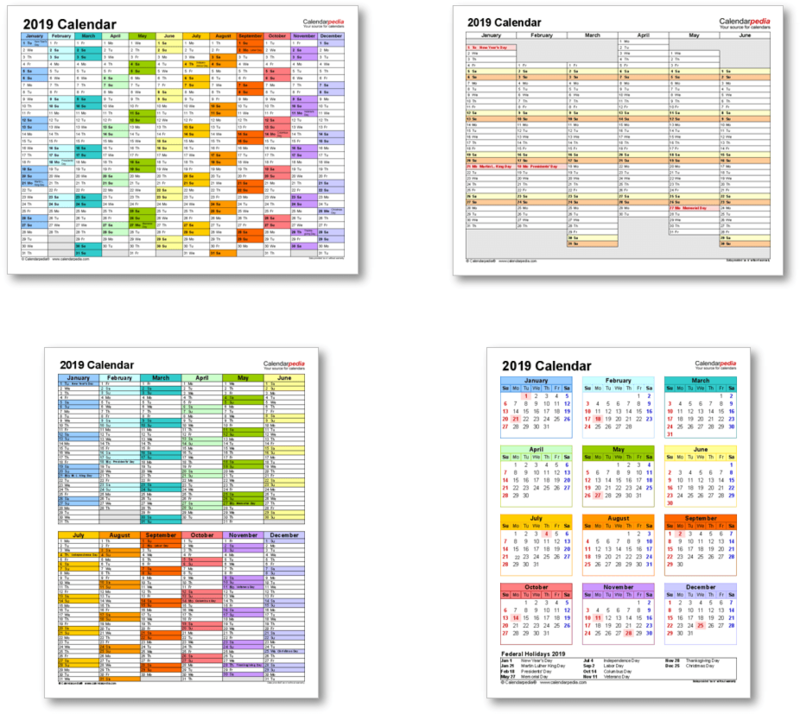 The names of Monday to Saturday in Bright Week each start with Bright, for example Bright Monday, and the entire week is considered to be one continuous day. 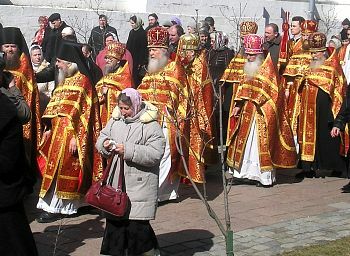 However, the first day of Bright Week (Easter Sunday) is referred to as Pascha. 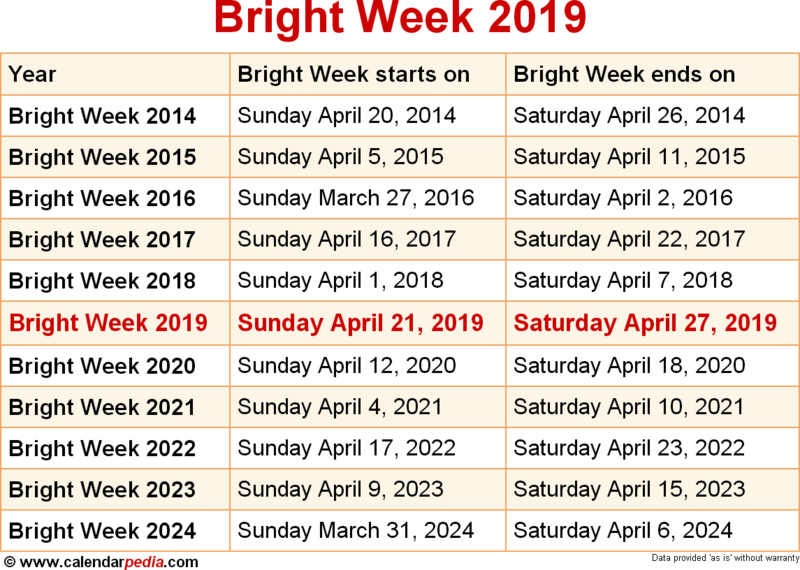 When is Bright Week 2020? The next occurrence of Bright Week is marked in red.